In Florida and most other states, the law treats an adopted child like the natural born child of the adoptive parents. As a result, adopted children are equally entitled to benefit from an inheritance as any biological children born to the couple. In some situations, an adopted child can legally claim an inheritance from both the parents who adopted him and his birth parents. In most cases, a birth parent's rights must be terminated before an adoption of a child can occur. However, this general rule does not apply if a birth parent has died or waives his parental rights. When parental rights are terminated, a child is legally treated as if he had been born to the parents who adopted him. In fact, Florida issues a new birth certificate listing the adoptive parents as the child's parents. Confirming the child's change in status, the Internal Revenue Code considers an adopted child as "a child ... by blood." Florida require health insurance companies to provide insurance for the adopted child if they already offer coverage to the adoptive parents. Florida inheritance law states that an adopted child is a descendent of his adoptive parents, effectively treating him as if he had been born to them. This enables adopted children to claim all the rights of inheritance on equal footing with the biological children of the family. Thus, a child can inherit from the parents who adopted him and the adoptive parents can inherit from the adopted child. Adoption by a stepparent makes inheritance a little more complicated. In Florida, such adoptions don't sever the relationship between the other biological parent and the child in terms of inheritance. So the adopted child can inherit from his adoptive stepparent and from both of his biological parents. The Florida law prohibiting gays from adopting was declared unconstitutional in 2010. As a result, children adopted by gay couples are now on the same legal footing as other adopted children, with the same rights of inheritance. As children of divorced parents get older, they may be pulled toward one parent or another and may not want to see the other parent. However, if a child decides he no longer wants contact with his divorced parents, he must become emancipated before he can exercise a legal right to refuse contact. 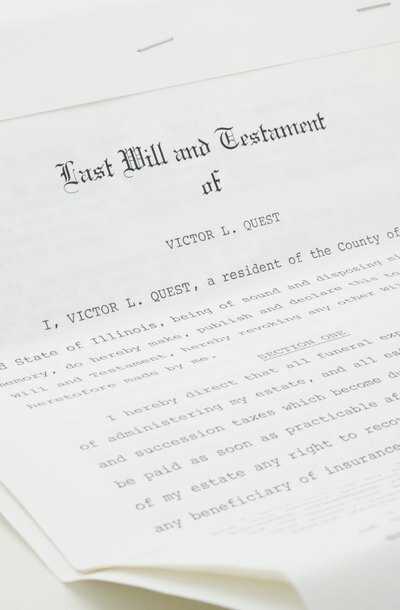 In Texas, if an heir of a person dies before him, what happens to the heir's share of the estate depends on whether the decedent left a will. Heirs commonly include the decedent's children and spouse. Because a will usually leaves instructions for the shares of predeceased heirs, the will's terms determine where the deceased heir's share goes. If the decedent died intestate, or without a valid will, Texas laws decide who inherits the heir's share.